Educate yourself on nature's purest candy...maple syrup. 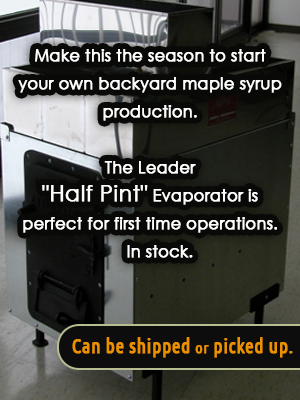 Discover more about how, when and where maple syrup is produced. In the late 1800s and much of the 1900s, maple syrup was produced by boring holes into maple trees and inserting a wood or metal spile. The sap then began to drip into wooden or metal buckets hanging from the spile. Workers collected the buckets and carried them to the sugar shack. Nowadays, modern maple syrup producers utilize plastic tubing and pipelines placed so the sap flows directly into the sugar house. When is the Maple syrup season? Maple sap is gathered in the early spring when the snow is on the ground and as temperatures just begin to rise, usually in February and March. Warm days and freezing nights are needed to induce sap to flow. How much sap does it take to produce syrup? It takes up to 40 gallons of sap to produce just one gallon of pure and natural. A mature sugar maple produces about 40 liters of sap during the 4-6 week sugaring season. What is the difference between the table syrup I see at the store and Erlsten Brothers maple syrup? Many of the products on the store shelf are imitations and have as little as 2% real maple syrup. The primary ingredient in table syrup is high fructose corn syrup. Our maple syrup has no additives and no preservatives. It is 100% sap from the trees, boiled to perfection. What trees are tapped for collection of sap? In Ohio, the most common trees tapped for maple syrup are the Sugar Maple, the Red Maple and Silver Maple..
Can we buy maple syrup all year long? Erlsten Brothers offers sale of syrup all year long!